Mia's Boxes of Love was started in August of 2014 by then 5 year old Mia, a resident of Apple Valley and student at Endeavour School of Exploration, who began helping kids in the community by donating school supplies and backpacks for the new school year. Every October Mia and dozens of local schools participate in #Socktober, a viral charity campaign. Our organization has worked with these amazing groups to raise over 10,000 pairs of new socks and other donations for homeless in the community. 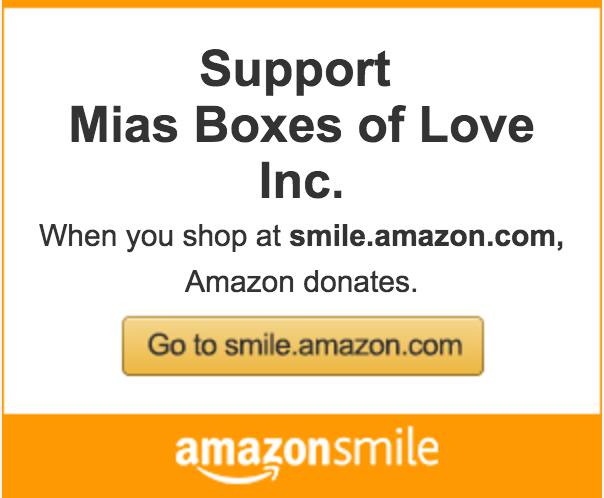 Mia's Boxes of Love has grown to become a non-profit 501 (c)3 with tax exemption status for its donors. Click the above picture to support our charity! Mia's Boxes of Love wants to get the news out about their current charity drive and how much Mia cares about her community. Check out Mia in the news below!